Ontario Premier Doug Ford was busy announcing his buck-a-beer plan yesterday but has remained silent on the future of the province’s cannabis retail model. Rumours began circulating within the cannabis community at the end of July that Ontario might be shifting away from government-run Ontario Cannabis Stores to include private retail. The rumours have been neither confirmed nor denied, leading to more speculation as to when an announcement will be made and what it will entail. According to industry leaders in the cannabis retail space, it’s unlikely that private retail stores will be open for legalization on October 17. “It’s time-consuming to get municipalities to approve where you’re located,” Peter Horvath, former executive VP for Victoria’s Secret and current CEO for Green Growth Brands, told Daily Hive over the phone. Horvath speculated that we might see pop up shops in order to accommodate the demand at the onset of legalization, and it’s possible that Ontario will only have online sales available through the OCS early on. “It will offer more choice and variety to consumers in terms of brands and retail environments they prefer,” Stewart told Daily Hive, noting that if Ontario opens up to private retail, they will look to be active in that market. 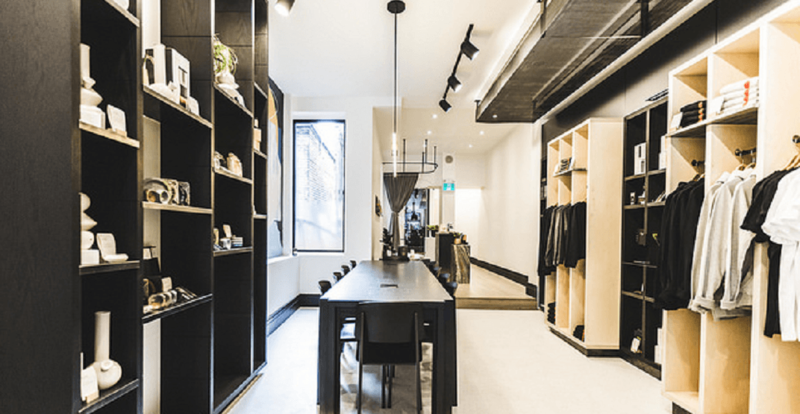 Tokyo Smoke, one of Hiku’s brands, already has several operational storefronts that sell coffee and cannabis accessories, but no cannabis products. “We’ll have to see the details of the announcement, following that the government has to pass legislation, then the regulations to accompany that, and policies in terms of how to interpret it all. Getting support from local communities is another important element before opening shop, according to Trevor Fencott, CEO of Fire & Flower. “It’s a long process but it’s important to us to be viewed as positive community members,” Fencott told Daily Hive. Fencott says Fire & Flower wants to be in places where they are welcome and constructive participants, noting that initiating community engagement prior to opening on October 17 should Ontario open its market is a tight timeline. “We’ve been talking to communities in BC since April,” said Fencott. Under Kathleen Wynne’s Liberals, the Ontario government had planned to open 40 OCS stores this year, and a total of 150 stores by 2020. It is currently unclear whether there will still be brick-and-mortar OCS locations or if private retail is allowed, similar to BC’s mixed-market model, or whether the OCS will only be responsible for wholesale, distribution, and online sales, like in Alberta.